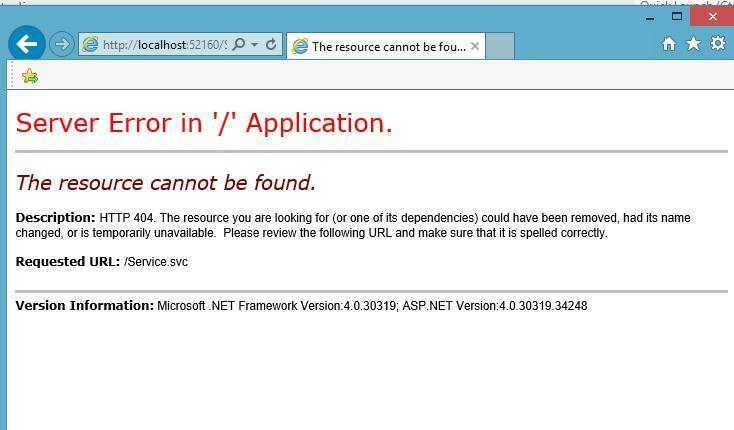 "In .NET Framework 3.5, a .svc file was required for activating a service. This caused additional management overhead, because an additional file was required to be deployed and maintained along with the application. 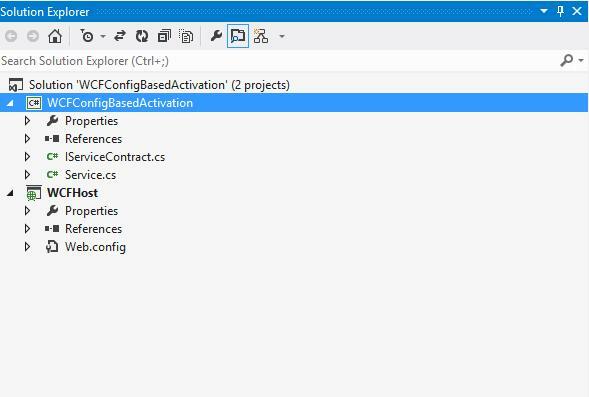 With the release of .NET Framework version 4, the activation components can be configured using the application configuration file." So we create this sample with a simply ClassLibrary project type. We call it as WCFConfigBasedActivation. 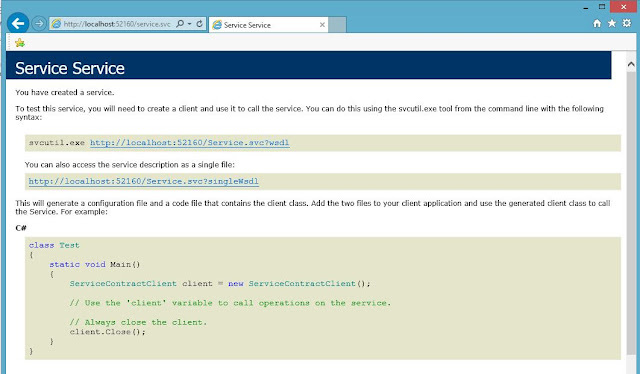 Add reference to the System.ServiceModel.dll from the Assemblies. Next, we add a interface named IServiceContract with a method which takes 2 integer parameters as input and returns their sum. 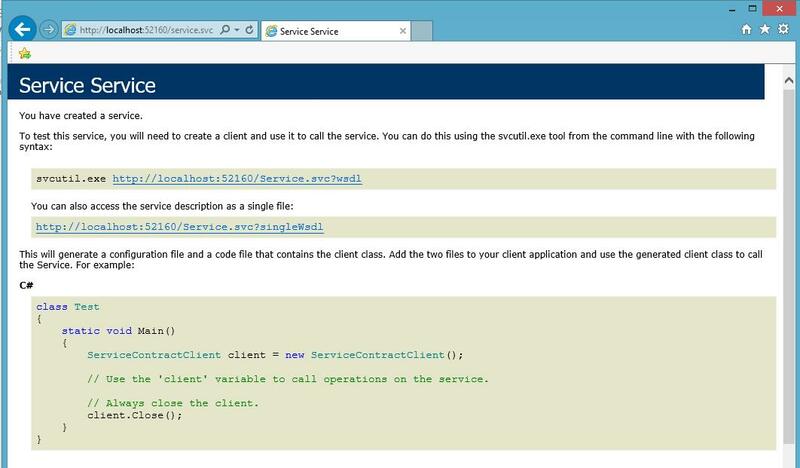 Add the ServiceContract and OperationContract on the class and the method respectively. You can read about the contracts in wcf here. Now, without adding any page, run the application and append Service.svc to the browser url and see if you can view the service. Now run the application again and add the Service.svc to the browser url and see. Bingo, this time it works. Easy to implement isn't it. We could have used the WCF Service Library project template also for creating the service project rather then the typical ClassLibrary project template.